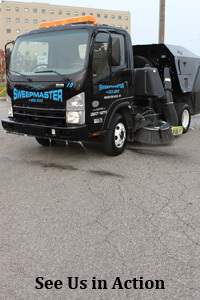 Sweepmaster offers fast, friendly and courteous service. We buy only the best equipment and maintain a skilled staff to complete your requests. We have built our reputation on our commitment to provide quality service in power sweeping, landscaping and snow removal services.